Truth by Kbaig: What will be the Role of Pakistan in China-India War? What will be the Role of Pakistan in China-India War? Last month on 5th of July 2009 suddenly ethnic riots broke riots broke out in western Chinese province Sinkiang (Xinjiang). 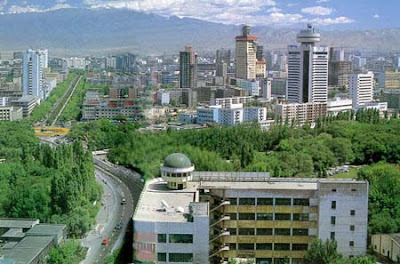 These were initialized from provincial capital of Sinkiang Urumqi from the protest of Muslims. These protestors were stopped by police to go beyond from main bazaar of People Chowk. The protestors belonged to Turkish accent Uyghur Muslims and they were not more than 1500 in number. They were protesting against murder of two Muslim factory workers by non Muslim workers of Han nation in adjacent province Guangdong 10 days ago. And in the no time these protests were converted into deadly riots and spread in the whole city. The severity of riots can be imagined from the death toll in 24 hours. In this till 7th July 197 people have been killed while 1680 were injured. 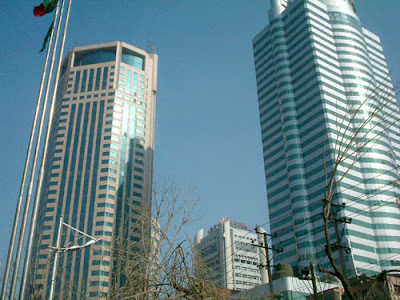 Dozens of buildings and uncountable automobiles were put on fire. After controlling the riots Chinese govt. initiated investigations. 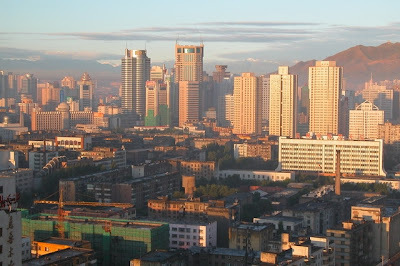 Why Muslims of Urumqi city felt need of protest while the murder of two Muslim workers was done ten days before on the midnight of 25th and 26th June in Shaoguan city of Guangdong, and moreover the murderers have been arrested. Cause of the murder was a rumor and the persons who spread that rumor were also arrested. On 21st June in a factory manufacturing toys a rumor was spread that both Muslim workers have sexually harassed Han women. After initial investigations Chinese govt. disclosed that the riots of Urumqi city were planned by “World Uyghur Congress” and its female boss “Rebiya Kadeer”, they are fully supported out of China by enemies of China. On the other hand Rebiya Kadeer who is counted in the riches of Sinkiang rejected stance of Chinese govt. in a press conference in New York. It is to be reminded that Rebiya Kadeer is on a self exile and living in America. Here her duty is to conduct seminars and bias international community against China. 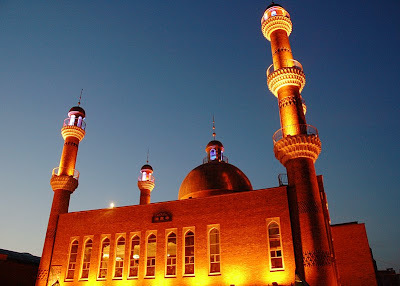 “The Chinese authorities cannot absolve themselves of blame for germinating Islamist Uyghur independence seekers. During the afghan war against Soviet Union, China trained and armed Uyghurs to fight alongside the Mujahideen in Afghanistan. Along the way Mujahideen was Pakistan’s ISI, the Taliban, the Al-Qaeda and Pakistani created terrorist organizations like the Lashkar-e-Taiba (LET) and others. The Uyghur fighters ensemble with all others as a grand orchestra. Battling for independence for the Islamic community in Afghanistan, the Uyghur started replicating this blue print in Xinjiang. Many of them are still under Taliban protection and ideological support in Pakistan’s tribal areas, though under pressure from Beijing Pakistan hands over small groups who are executed on being handed over to the Chinese authorities. Acting on confidential message from President Hu Jintao earliest this year, President Zardari worked on the Pak-Army to deport 10 Uyghurs to China. Their fate is unknown. The ISI has been complicating harboring Uyghur militants in Pakistan. During the Prime Minister Benazir Bhutto’s visit to China in 1992, Chinese Premier Li Peng minced no words in conveying this to her, but also stated that Ms. Bhutto did not have the power to alert the situation very much”. The Pak-China friendship is known by the whole world. And everyone knows that through such propaganda neither Chinese govt. nor Chinese people will be influenced then what are the purposes of this propaganda. Let us analyze it. You have probably read this news that India has deployed some of its troops along with tanks to Chinese border and China has also increased Army Patrol. The behavior or policy of China is that it reacts in fewer words even to the greatest threat or problems. On some very important international problems Chinese silence has kept defense analyst worried and reaction on China on deployment of Indian troops is not astonishing. But India whose Foreign Policy is based upon propaganda, the silence from its side and not disclosing that why it needed to send T-72 Tanks and troops to Chinese border is something awkward. According to Reuters India has deployed 4 divisions of army in Sikkim (was an independent state illegally captured by India) to Chinese border. The reason given was that China had shifted Pillars and marks for boundary to 3-5 kilometers within Indian Territory. The Indian army present on the spot had only two options wither to resist or step back. The Indian soldiers took the second option and stepped back. When these reports arrived to Delhi, opposition parties especially BJP made a storm in a tea cup. Bhagwan has provided them opportunity to redress the blame when they were in the govt. in 2003 and China has captured Indian area of 13 kilometers in Assam and Arunachal Pradesh. On resistance from the Indian territory guards Chinese soldiers had opened fire on them and dozens of Indian soldiers died or got wounded. At this time BJP has thought it better to be silent. On this Congress who was in opposition had called BJP is rebellious. On the recent capturing of Indian area by Chinese army, when Indian govt. asked reason from Indian army they replied, “The resistance from our side means open war. If govt. allows it then we are ready to regain our area but for this weapons and ammunition will be needed which is duty of govt. to provide”. After this Delhi govt. decided to deploy 4 Divisions of army to the Chinese border. Some analysts take the deals of India with America for purchase of war planes and Nuclear submarine in Indian ocean as preparations for Indian attack over China. According to them India has decided to capture the disputed areas in the war with China in near future. Delhi govt. was not ready for such a clear stance from China. Indian Foreign Minister requested Indian Members of Parliament to remain peaceful and also requested to ignore this statement. After Chinese President left New Delhi, as per Hindu mentality and Kotla Chankiya’s teachings Indian Prime Minister accused China of capturing 8000 Square Kilometers of Kashmir. In response to this once again Chinese Ambassador called press conference and made it clear to India that we are just claiming one Arunachal Pradesh while Mao Tsetang used to say, “China is like a hand and Ladakh, Bhutan, Sikkim, Nepal and Arunachal Pradesh are like its fingers. These have been cut down by English through military power”. Readers after this the relations between China and India have not been normal. Apparently they look good but disputes and stress is present. It is increasing day by day. In the name of Regional Security, India held conference in Manila on 24-25th of May 2007 in this only India, America, Japan and Australia were invited. China called Indian ambassador and advised him that India should restrain from creating a front against China in the region or being part of it. But India will not restrain. Moreover America who takes China as potential challenge in near future, understands satanic and criminal nature of Brahman so wants to utilize India against China. He knows that China-India war will be a bless for American economy. Moreover Chinese economy developing rapidly will be jammed as well. History is witness that to whatever country America has sold heavy weapons, America has pushed that country to war. From the point Missile Industry has got more popularity American fighter plane industry is facing losses. After deal with India for selling more then 100 fighter planes has brought American fighter plane industry back to life. According to war forecasters 2012 will be the year China-India war. In such a situation what will be the role of Pakistan is a very important question. It is possible critics may take it as waste of time but it is true that India is struggling that Pakistan deploys its troops far from eastern border to the west. America is also trying to convince Pakistan that Pakistan has no threat from India. There is a possibility and India thinks that during its war with China, Pakistan will enter its troops in Held Kashmir or will try redressing the wound of 1971? The cause of terrorism and restlessness in our western areas is that Indian threat, due to which Pak-Army has been forced to shift its focus to these areas. However if according to defense analysts China-India war is inevitable then Pakistan should clearly decide its role in this war. We should not again accept American pressure like 1962 and lose a golden chance provided by nature, and its punishment is to be borne by whole nation like 1971. 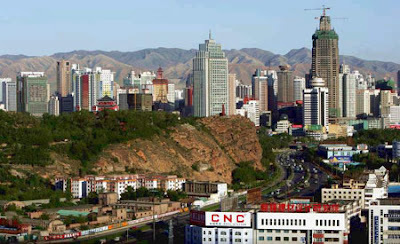 Note: The pictures of Urumqi capital of Chinese province Sinkiang are in front of the readers. After looking at these pictures one can easily understand the development their and that rights of minorities are safeguarded in China. On the first look of these cities consisting of Muslim population it seems these are developed cities of Europe or America.